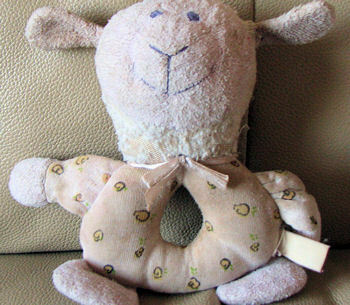 I have been looking for the Luv n’ Care white and purple flower print lamb plush rattle for my daughter. She has one, but it’s about to fall apart, and she LOVES it! She calls it Mimi and has had it since she was born. I don’t think she will sleep without one.